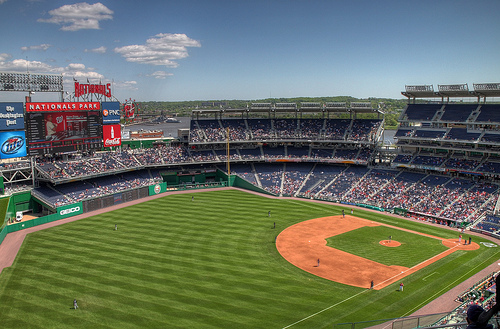 Washington National Opera (WNO) celebrates its fifth season of free opera simulcasts at Nationals Park with the M&M’S® Opera in the Outfield performance of Don Giovanni on Saturday, September 29. Gates open at 5 p.m. for “pregame” activities, including The Fly Ball, co-hosted by Kennedy Center MyTix and Brightest Young Things. The opera will be broadcast live from the Kennedy Center Opera House to the high-definition screen at the ballpark at 7 p.m. Seating will be available on the outfield grass and in the stands.